Call it rum and cigar diplomacy: The few Americans allowed to visit Cuba are eager to finally legally bring home the communist island’s once forbidden fruits. While Washington and Havana seek to normalize ties, US President Barack Obama added rum and cigars to the diplomatic mix in January by allowing Americans to fly back with $100 worth of Cuban tobacco and alcohol. “This was huge news. To have this opening after so many years is a giant step for both nations,” said Alexis Batista, a bartender in Havana’s Rum Museum. “It’s very positive for the economy to have commerce flowing between the two countries. It’s something that must benefit the people,” he said after squeezing sugarcane through a grinder to make “guarapo” juice for a group of European tourists. The rum company Havana Club — co-owned by the Cuban government and French spirits giant Pernod Ricard — says it it is ready to sell to American visitors but also has a strategy to enter the US market — if the decades-old embargo is lifted one day. Cuban cigar sellers also want to see Americans put Cohibas and Montecristos in their suitcases. But for now they will have to settle for purchases from the few Americans who can visit Cuba under specific tours because regular tourism remains forbidden until the US Congress lifts the embargo. Meryl Cohen, a 29-year-old Washington resident, was planning to buy some cigars and rum as she took part in a religious tour of Havana with a Jewish group. “It’s more symbolic than anything, but I think it’s showing that Americans can be tourists like all the other tourists that come here, and that we can partake in what is a huge symbol of the Cuban nation, the rum and the cigars,” Cohen said as she hopped back on a bus near Havana’s seaside fort. Cohen’s group came to Cuba under a religious license, one of the 12 categories of people allowed by the US government to visit Cuba, though under Obama’s new rules they no longer have to apply for a permit before traveling. Robert Raisler, a 78-year-old retired computer programmer on an educational tour, said he would shop for rum and cigars, but had to check prices first. “When we first planned this trip we were told that we could buy none of either,” he said. “And then when President Obama gave his talk about opening things up a bit, we learned that the new limit was $100. I thought, it’s about time,” he said as he visited Arms Square, where book sellers offer tomes about icons of the Cuban revolution. While Havana Club is ready to sell to American visitors, it is also prepared for the day it can export to the United States. “We have the available product, good internal production capacity and all the conditions ready to enter the US market as soon as possible,” Sergio Valdes Dorta, the company’s director of exports, told AFP. With 50 million bottles sold each year, Havana Club is third behind rivals Bacardi — the Cuban company that fled to Bermuda after the 1959 revolution — and Jamaica’s Captain Morgan in global sales. The battle with Bacardi for the US market started years ago. Havana Club created the name Havanisa for the day it can sell in the United States after Bacardi won a legal battle blocking it from using its famous brand. Bacardi declined to comment on how the US-Cuba rapprochement would affect its business, and whether the company could one day sue to reclaim what it lost in the revolution. “We will need to wait and see what the impacts are. We hope for meaningful improvements in the lives of the Cuban people and will follow any changes with great interest,” the company said in a statement to AFP. 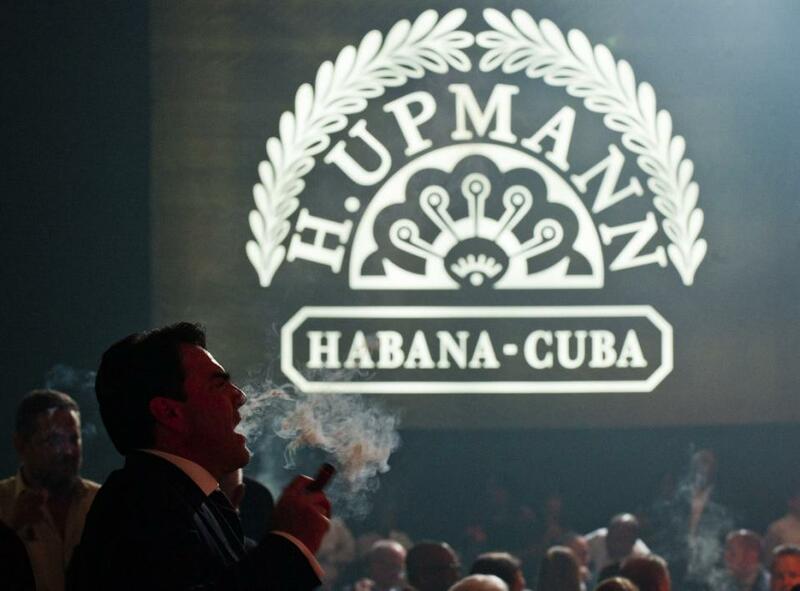 Cuban cigar sellers also hope to cash in. Barbara Elias Hernandez, a 45-year-old who works in an arts and crafts market in Havana’s port, said she never understood why Americans were barred from buying cigars. Washington’s new Cuban tobacco rules will have little impact on the US market, however, because $100 will not buy you much (three large Cohibas or 10 Montecristo Number 2) and few Americans are allowed to get them, said David Savona, executive editor of the US magazine Cigar Aficionado.